Marketing a Small Business Online, where to start? Understanding how to digitally market your small business that targets a local clientele can be a conundrum. There are a variety of directions to go in and steps to take in order to obtain your business goals. The tough part is understanding what to do first. An SEO (Search Engine Optimization) audit is a good place to start; however, these can be expensive. So how do you prioritize when you don’t know where to start? Create digital ads via AdWords : https://www.adwords.com or contact me to help you. Get involved with social media, this includes video sharing and blogging. Get involved with eMail marketing. If you prefer an outline of suggestions, please see this SEO resource. They do a decent job prioritizing areas that need to be looked at. The catch with getting involved with digitally promoting your business is that you are now entering the SEO game. Acknowledging the wealth of data available, sheds light on the relationship between your business goals and customer demand. Understanding this relationship drives how to grow your business and therefore where to gain a stronger hold of SERP (Search Engine Rank Placement). Being there for your customer with the information that they are looking for when they need it, is key. Making SEO and SEM improvements, that really move the needle, will potentially drive the way you do business. Your business may shift to cater to these new assets. A need for new resources or even departments may begin to develop. That just isn't what many want to hear however. I am recommending a realistic approach. Please view both of these resources I have mentioned above. Realize that there are 2 main dividers within SEO and digital marketing. The first one is “onsite” improvements. Onsite improvements are: making technical improvements, site organization, and content improvements to your website that will benefit your organic ranking or SERP. The other piece is “offsite” improvements, this means: working with other platforms such as social media, digital advertising, email marketing and more… to increase traffic to your site. You want to work on both onsite and offsite improvements. technical aspects such as site speed, sitemap, and mobile friendliness are top of the technical list. However, these few things I just rattled off can become very complex very quickly. If any one of these technical aspects is much worse then the other, start there. When locating where to start with organization and content improvements, review your goal pages. Goal pages are pages of the website that you are trying to drive traffic to such as: a form page, a checkout page, an informational page, or even making the phone ring. Goal pages should take priority over all other pages; however, all other pages should support the customer journey to the goal pages. For local businesses trying to improve online presence, having a completed Google Places listing is imperative. Submitting your business to directly listings such as Yelp, Yahoo local and others is also very important. 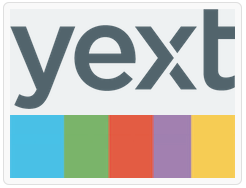 I recommend using a directory submission and management tool called Yext. If you don’t use a directory management tool, it’s impossible to keep your listings correct and up to date with useful information. One more area that is tremendously beneficial is to work with your digital advertising professional. Your website should be set up with reporting tools to help you understand how visitors find and navigate your website. Part of optimizing your digital advertising includes optimizing landing pages for a better user experience. Consequently, this process drives “onsite” SEO optimizations. There really is no limit to how finally tuned you can make your website. The solution is to be able to identify what needs to happen first and allocate resources to make these improvements. Thanks for the help. Those who really wanna make promotion of their home, online or offline business may take help from the free advertising sites as these are the easy ways of promotion as well as helps in saving time and money. Ordinary comes to visit and listed below are one way to thanks for your time for one's exertion, which inturn means that So i'm seeing this website every single day, hunting for unique, important tips. A number of, many thanks! Now i am definitely content to uncover this page in addition to performed delight in examining practical articles or blog posts placed in this article. This thoughts on the article author seemed to be brilliant, appreciate it with the write about. This really fascinating put up not to mention i like to study this unique put up. your website might be awesome and also need fantastic people on your blog page. decent showing keep writing. I’m influenced using the surpassing as well as preachy itemizing that you simply provide such small timing. Thanks for this useful post. In order to increase sales, here are some amazing benefits of seo for business mentioned. I wrote about a similar issue, I give you the link to my site. Thank you marketing online for this pretty impressive post also at http://www.rankible.com. I agree, these Benefits of Promoting a Local Business Online are numerous, I believe promoting is essential. I will soon get seo services from this company. I myself run a Local Business and I've profited promoting it online. I've had to get the Professional Organizer Portland though so my office would look nice enough for photographs, online promotions are often cheaper. Such a great articles in my carrier, It's wonderful commands like easiest understand words of knowledge in information's. Hmm… I interpret blogs on an analogous issue, however, i never visited your blog. I added it to popular also I’ll be your faithful primer. SEO marketing online is the best way to promote your business I had read in this http://growtouch.com/swords-seo site.Result of SEO is always profitable and it promote our business. Great article, we really appreciate the post. Its very interesting post that i h've read and understand the strategy of SEO really awesome i like it and thankyou very much from Samsung Galaxy A30 price in Pakistan. Anyone that owns a website or has been around the internet for a while may have heard of the term backlinks and how important they are to get ranked high on the front page of Google. So l recently bought Authority high citation flow backlinks Pro in hopes that it wasn't just another over hyped link building software. Imagine you receive an email in the middle of the night while you are asleep. The mail shows that you just made $40 after one of your customers used their debit card to purchase an item from your online store. This online store is available 24/7 and displays over 80 web based solution for business owners. If one would ask: what is the best internet business?" I would say any business that allows 24 hours online access, quality customer service support staff and marketing tools to help your business stand out in your niche. You are about to discover why so many online marketers become successful running their own internet business. Let's look at the features and benefits of running an internet business in today's look here You will learn, among other things; who are Web Host Resellers, what is involved in the Domain Name industry, the pros and cons of running a Domain Name Reseller Business, and the costs involved in setting up this venture. Business Engagement in Social Media, is it Necessary? Have You Gotten Your Cardboard Yet?